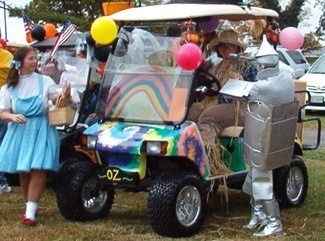 I have never seen so many golf carts in my life. PGA has nothing on Colonial Beach. 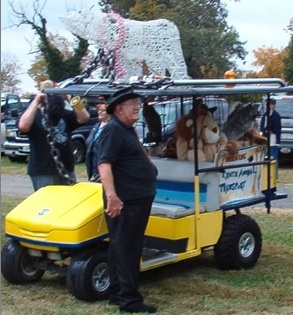 2017: Once again, The Messengers claim the top prize in the Golf Carts Parade as part of the annual Fall Festival. 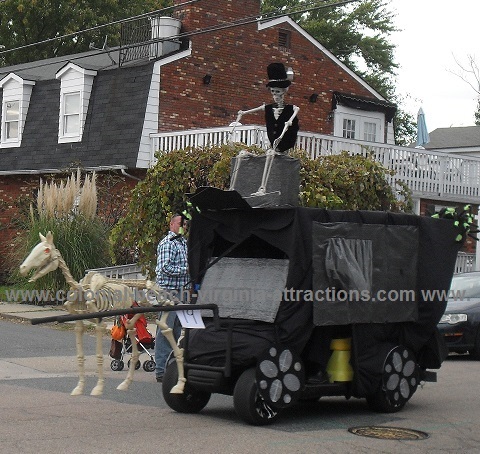 Their entry featured a skeleton horse complete with glowing red eyes and clippity-clop horse hooves audio. 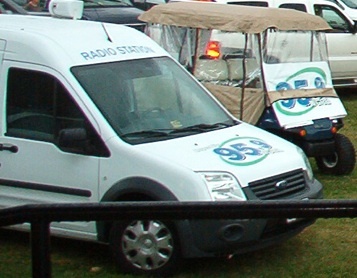 2017's parade saw a large number of entries, some with trailers in tow. The late fall weather was beautiful and the parade was a big hit as it made its way through the streets, around The Point and back to town hill. 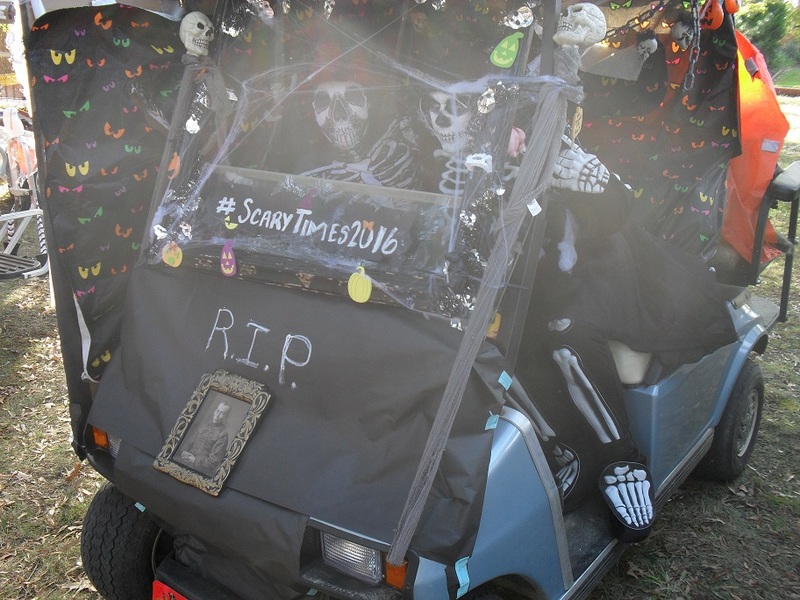 First place Golf Carts prize in the 2016 Fall Festival were the Messenger's with their spooky skeleton crew. 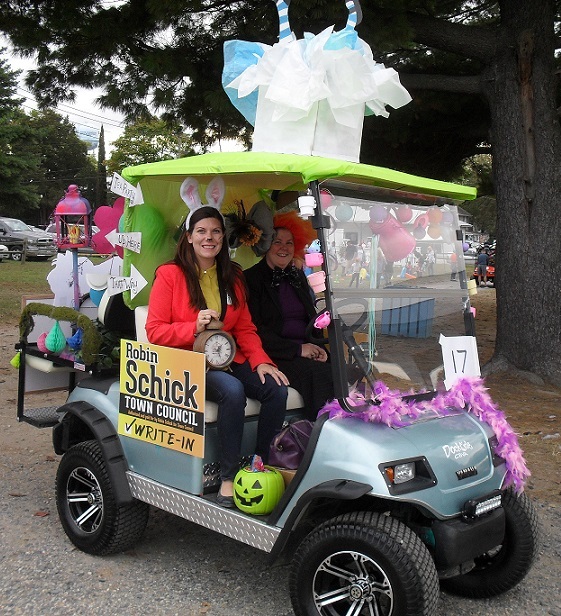 Tiara's photo booth entry earned her a second place trophy. 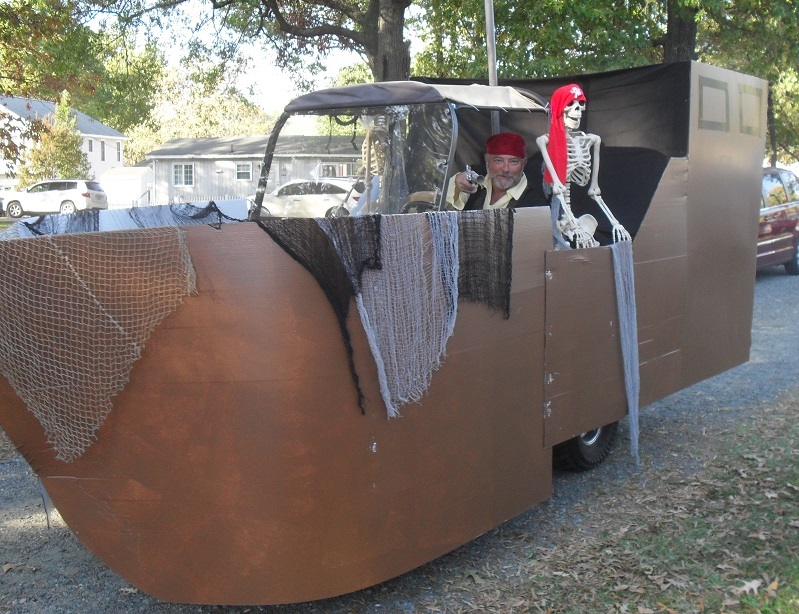 Chris the Pirate and his ship took home the 3rd Place prize. I ran down to Town Hill just before 5pm to get some pictures and I'm so glad I did! The rains came and as I ran back to my car, then later driving away back down Colonial Avenue, I saw some die-hard fans under umbrellas waiting for the parade to start. 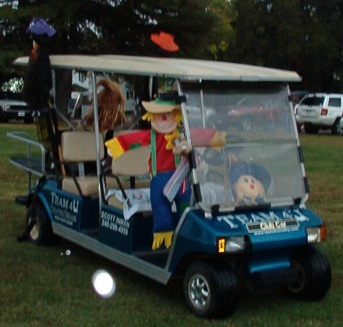 2009 marked the 7th Annual Halloween Parade and not only was there a contest for best-decorated, the event also featured a 50/50 raffle and bake sale. Sponsored by Chamber of Commerce, the proceeds from the event went towards a good cause, the Hume-Lee Kidney Transplant Center at VCU in Richmond. "Beware" of the rain. 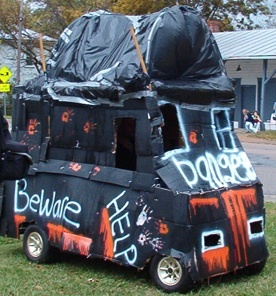 Luckily, this entry had more protection from the elements than most of the others. 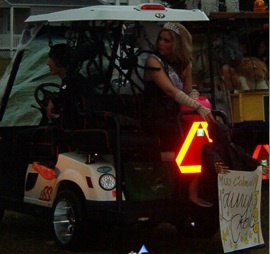 Miss Colonial Beach's cart lights it up. 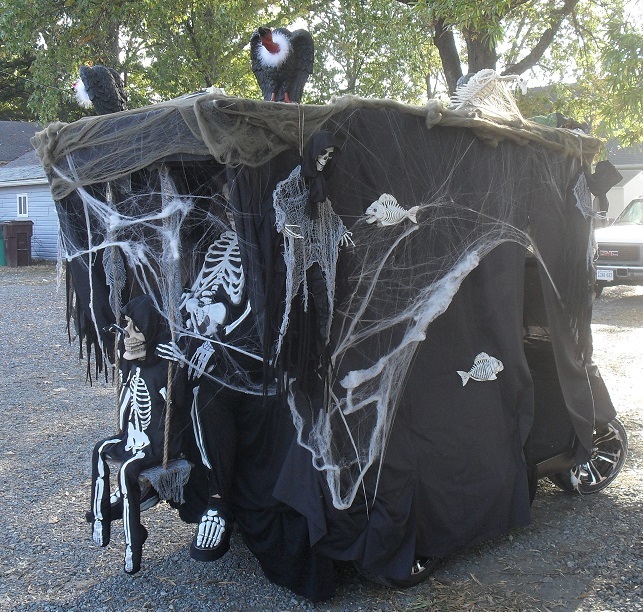 Team 4U with their fall-themed entry. The white spot you see is a reflection of a raindrop on the lens. 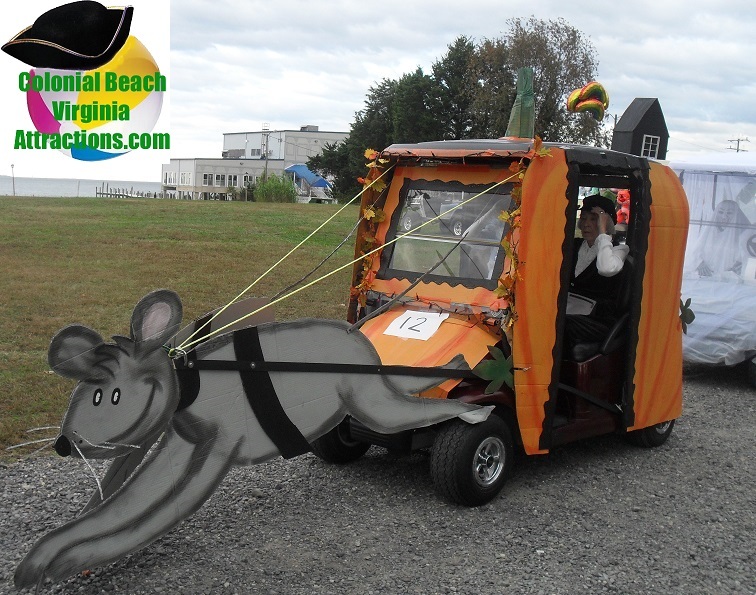 Custom Cartz co-sponsored the event and gift certificates for the prize winners were donated by Beach Service Center, Dockside Restaurant, Denson's Grocery and Custom Cartz.